The Badhaai Ho team strikes a pose at the success bash. 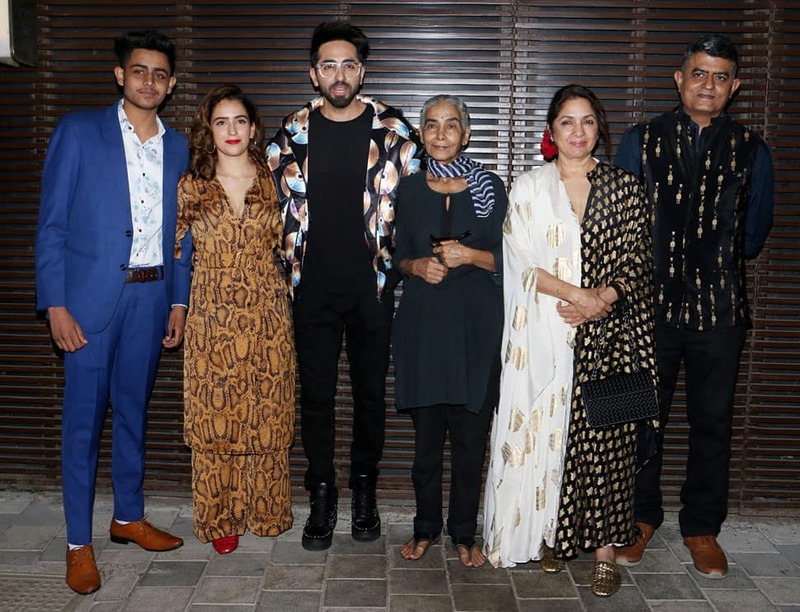 Amit Ravindernath Sharma's directorial venture Badhaai Ho starring Ayushmann Khurrana, Sanya Malhotra, Neena Gupta, Gajraj Rao and Surekha Sikri in pivotal roles has proved to be a massive hit. The rom-com is inching close to the Rs 100 crore mark at the Box Office. 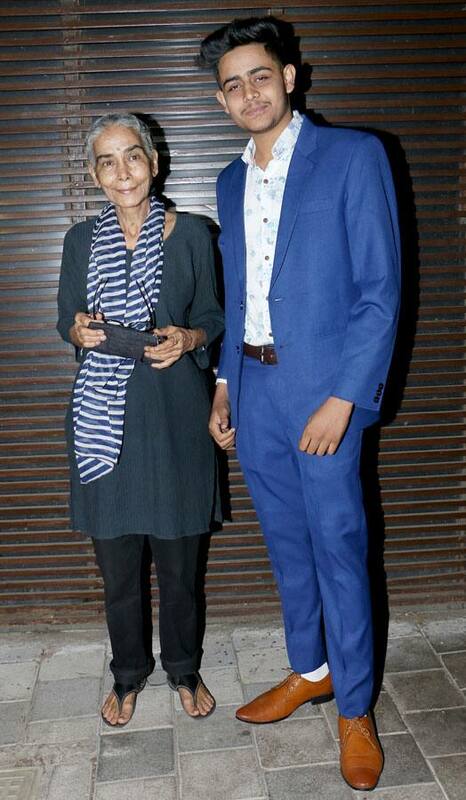 Badhaai Ho' revolves around a family with an elderly couple probably in their 50s, two sons and the matriarch. Ayushmann plays the eldest son (probably in his mid-twenties with a teenage brother) who feels embarrassed to know that his parents are all set to welcome another baby! His girlfriend (played by Sanya Malhotra) feels it is okay for his parents to get intimate, but this leaves him perplexed. Sanya Malhotra looks stunning at the Badhaai Ho success bash. The film released on October 19. 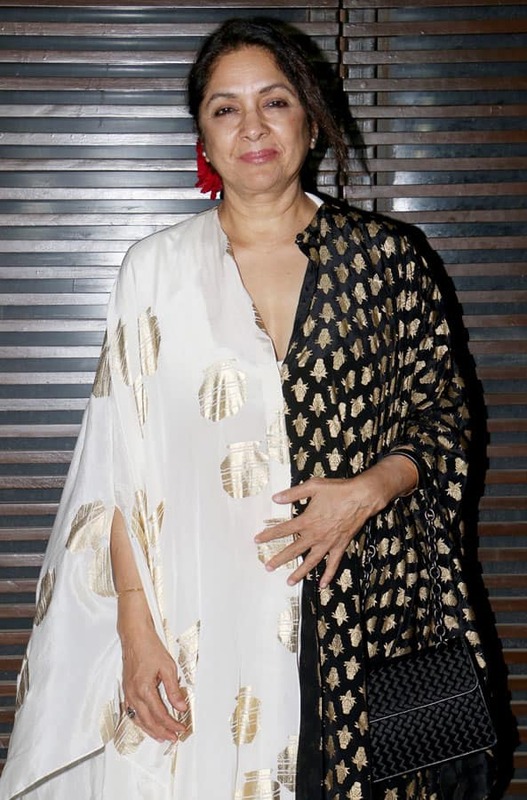 Neena Gupta at the Badhaai Ho success bash. The film is set in the backdrop of Delhi. 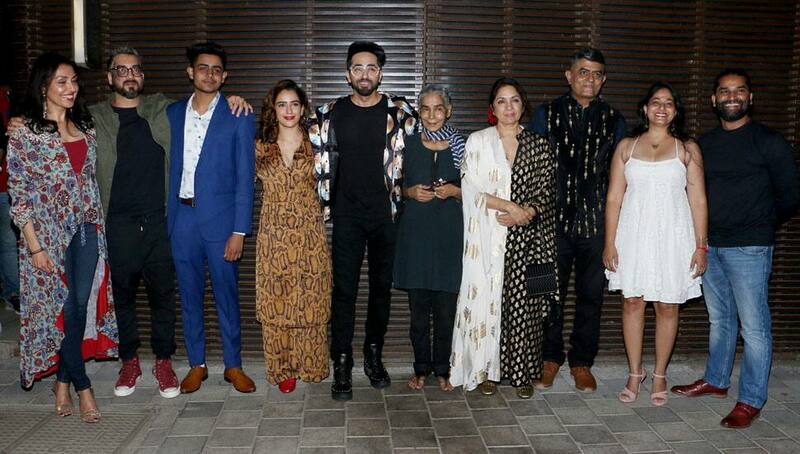 Ayushmann Khurrana, Sanya Malhotra, Surekha Sikri, Gajraj Rao, Neena Gupta and Shardul Rana at the Badhaai Ho success bash.